It’s a gloomy day in Superhero Land—the United States version of it, anyway—as the domestic box office figures for Warner Bros.’ massive, much-hyped Justice League came in today, revealing that the Zack Snyder/Joss Whedon superhero brawl had the weakest U.S. opening weekend out of any of the studio’s D.C. Extended Universe films so far. 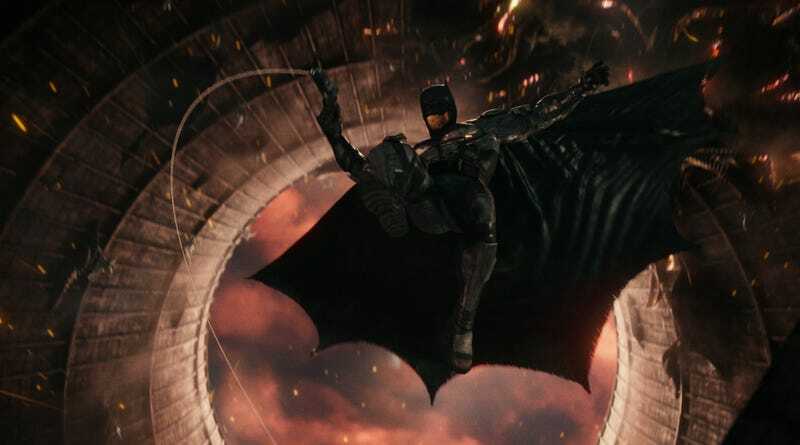 In fact, at $96 million domestic, Justice League has now become the first of all the DCEU properties to open below the $100 million milestone in the States. But like the film itself—which has drawn some praise for attempting to inject at least a little humor and lightness into the DCEU’s grim series of action figure battles—things aren’t quite as dark for Justice League as it might initially seem. After all, Wonder Woman didn’t do much better—opening at $103 million on its first weekend, before being buoyed up by strong word of mouth. And international audiences are apparently desperate for that hot Cyborg content, bringing in $185.5 million at the foreign box office, and bumping the film up to a weekend total of $281.5 million (versus the $300 million it reportedly cost to make.) China was the film’s biggest success story, with audiences in the country coming out to the tune of $51.7 million for The Great Mother Box Hunt. Meanwhile, it’s always possible that Justice League’s U.S. performance had less to do with superhero ennui, and more with the seasonal pressures of selecting the right turkey and getting your stuffing recipe on point. (Who can worry about Parademons when you’re too busy fretting about pumpkin pie?) According to Variety, Warner Bros. is expecting the film to hold on to much of its diminished (but still feisty) box office power as we head into the Thanksgiving weekend, because nothing says “Family Dinner Table Argument Escape Pod” like watching a bunch of good-looking super-people beat on some CGI goons.